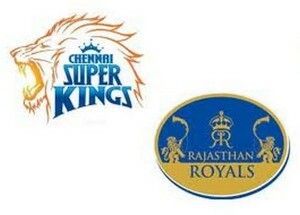 Today on Saturday 3 April 2010 two Indian Premier league matches are taking place. In first IPL match that was played between Chennai Super Kings and Rajhastan Royals in this match Chennai won by 23 runs. it was a really high scoring interesting match in which Chennai got 246 runs for loss of 5 wickets playing first. Rajhastan Royals where able to score 223 runs for loss of 5 wickets on 20 overs and lost by 23 runs. in today's second match Mumbai Indians are facing Deccan Chargers. Mumbai Indians played first and scored 178 runs for loss of 5 wickets in 20 overs. Deccan Chargers have scored 14 runs in 2.1 overs without losing any wicket. lets see who wins this match.